Last night I paid a visit to Potomac Running to get fitted for shoes. I don't think I've ever been "fitted" for anything before, let alone the perfect running shoe, so I was a little overwhelmed. But luckily they are helpful and nice and made this experience very easy, despite my somewhat unbearable indecisiveness. I worked with a girl named Jenny from Iowa. I only know that her name is Jenny and she is from Iowa because I looked on the store's website- yes, I am very creepy. But I told her about my yuck toenails and she said exactly what the many people on Runner's World said: my size 9 shoes are too short. She started me off with a "neutral shoe" (pictured below) and put me on a treadmill. It was weird to run on a treadmill for the first time in five years, especially with a stranger standing by my side. And it was even weirder to watch my feet step on a little TV screen in front of me. It made me self-conscious about how I was running. My left foot goes in a lot and it looks abnormal. But she said all it means is that I need shoes with more stability. She brought out a pair of size 9.5 mizuno alchemy (1), a pair of asics GT 2160 (2), and a pair of brooks adrenaline (3). There is a lot of pink in women's running shoes these days and I'm not a huge fan. But it's about the feel, not the look, right? Right. The mizunos felt way too hard and were a no-go right off the bat. But I had a really hard time deciding between the brooks and asics. I've never worn anything but asics but the brooks felt very soft each time my foot struck the ground. They are designed with more arch support than most shoes, however, so the insole felt a little uncomfortable on my very flat feet. I was also between sizes. So forty-five minutes after I got there, and fifteen minutes after the store closed, I made a final decision to carry on my bond with asics. I decided that I'd save the new kicks until after my race on Sunday. But when I got dressed tonight for my first run since the half, I couldn't resist giving them a chance to prove their worthiness. I laced 'em up and hit the road. They felt good, and, they carried me 4.55 miles at an average pace of 8:32 minutes per mile. I was decked out in new gear tonight, with the shoes and one of the many pairs of shorts I brought home with my from Friday's expo. These were black, no-frills, saucony shorts, and they were ridiculously comfortable. The material is so soft and thin that I barely knew they were there. I also ran in long sleeves for the first time this season. It was too early and I was lookin real good with all this salty sweat for the world to see. Note to self: wear something under my dark gray cotton shirt when I plan to sweat in it. What kind of running shoes do you wear? Do you care what they look like or is it all about comfort? I wear Asics Gel Nimbus. They are not very pretty, but it is all about the comfort. 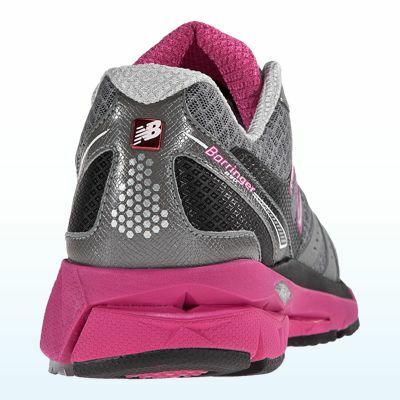 I wish they would make running shoes more attractive...all the cross-training shoes always so look much better. But...I am thinking about getting a pair of the Brooks Pure Connect for my shorter mileage days. I love my Asics GT 2160s. I have been a GT 21?0 for a while now. I run in Saucony Kinvaras and I adore them! Getting new running shoes is just as good as Christmas! I hope you love yours. And btw, I love the idea of giving your shoes a cooler name. Brilliant. I'm looking for cross training shoes for men. It was unusual to keep running on a treadmill without precedent for a long time, particularly with a more odd remaining close by. Furthermore, it was significantly more peculiar to watch my feet venture on a little TV screen before me. There are 9 basic types of running shoes, and it's useful to own pairs from at least a few different categories. The 9 types are trainers, lightweight trainers, trail shoes, cross trainers, racing flats, spikes, waffles, minimalist shoes and walking shoes. If you want to know about Flat Feet Cross Training Shoes. Visit our site. Baltimore Half Marathon Pre-Race Activities! Welcome to "Sweating in Style"